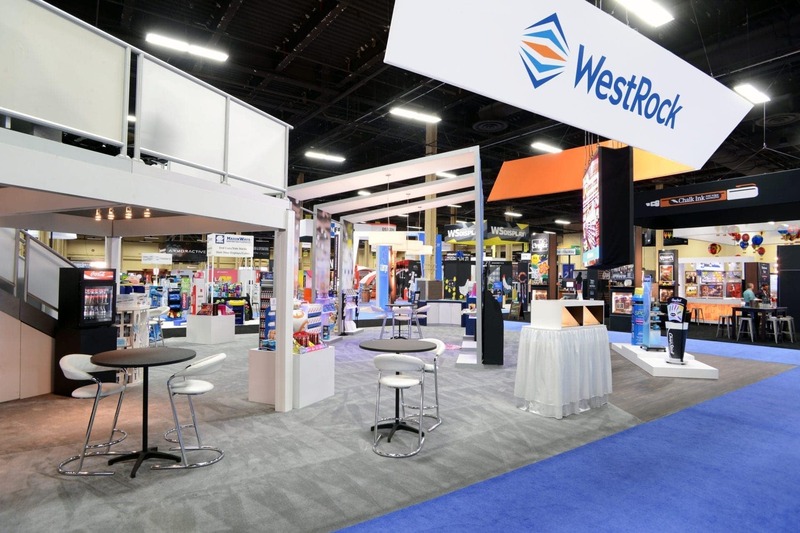 WestRock had three main goals for their presence within this 40 x 60 foot island exhibit space. First, they wanted to attract a large number of visitors. 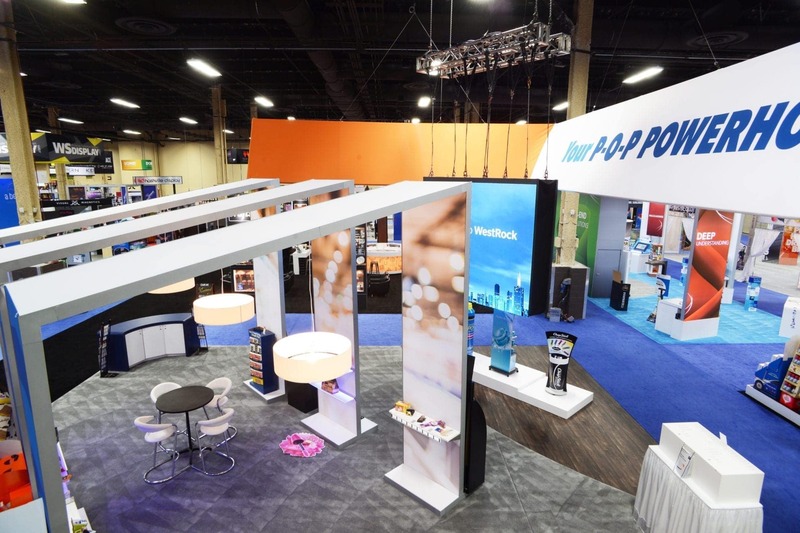 So, Holt Environments designed and built an open and inviting space, made more visible with large angled overhead fabric structures and a large hanging monitor. Second, they wanted to engage and retain their visitors longer. 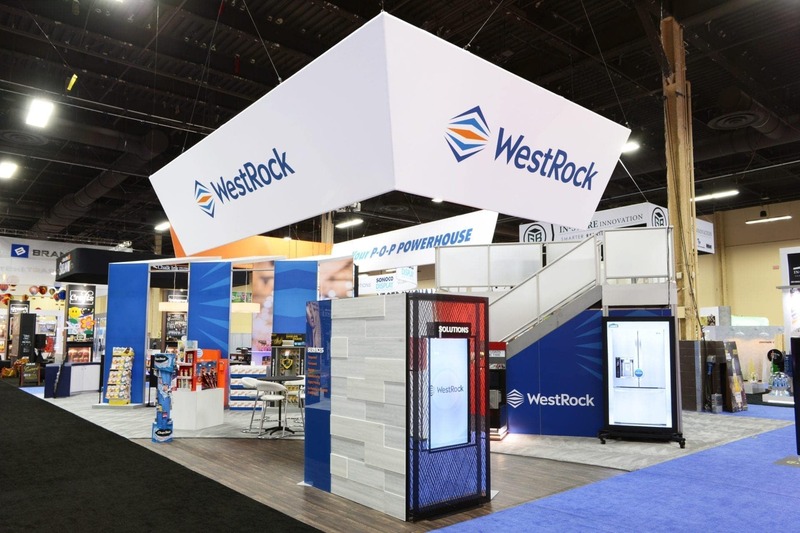 Holt therefore built in a variety of product displays on podiums, shelving, and peg boards, with ample storage to keep the booth clean and organized. 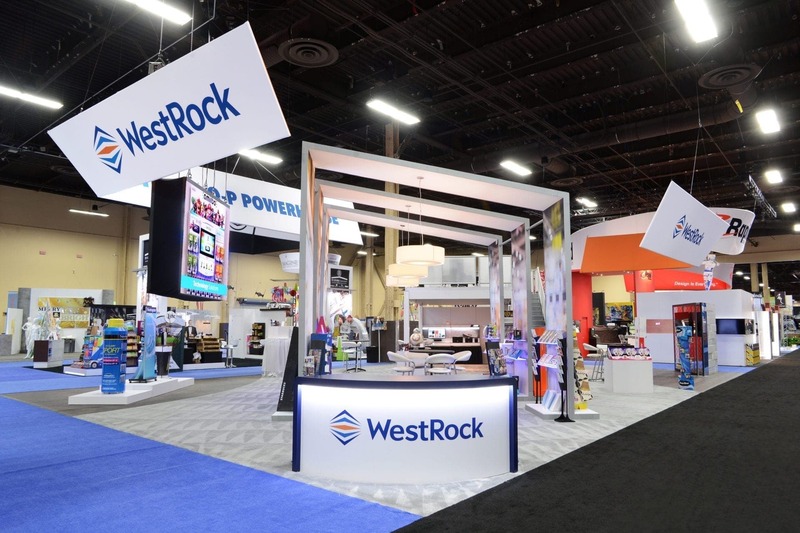 Third, WestRock wanted to keep expenses down. 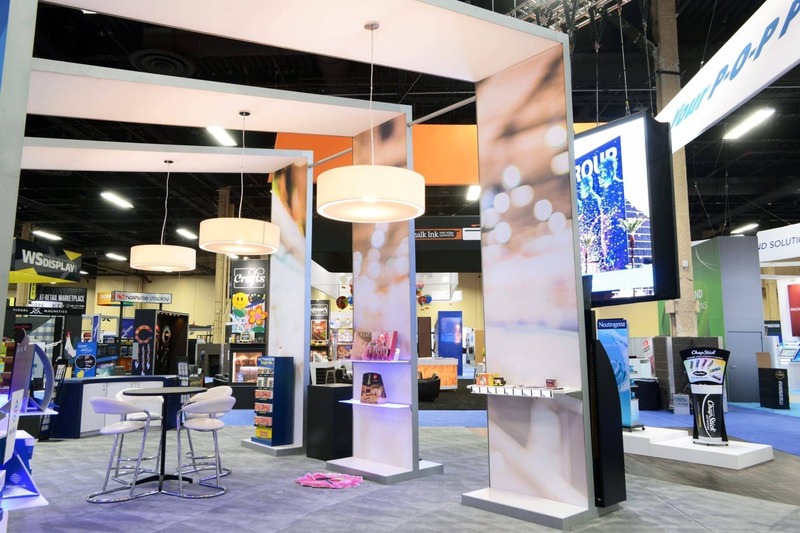 So, Holt encouraged them to include a large video wall to portray their largest products, rather than bringing those large, heavy products to the show. 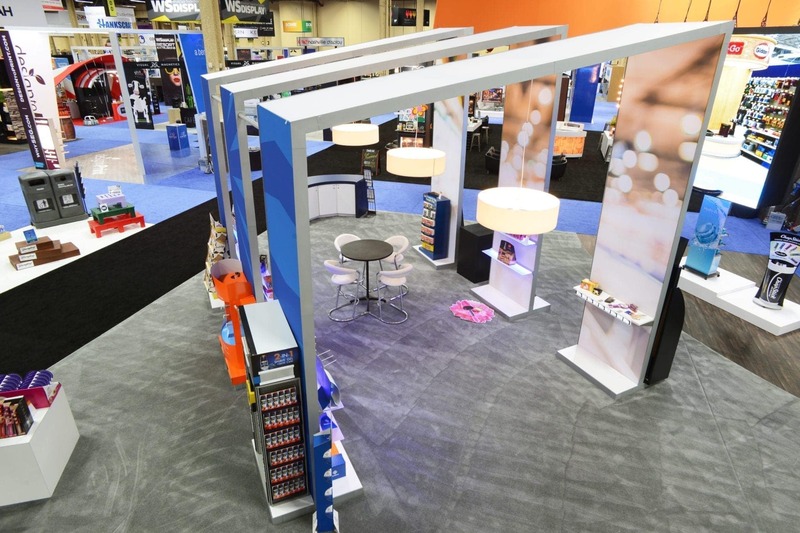 By meeting their main goals, Holt Environments created a cohesive, appealing space to help them expand their market presence.